"Year Round Vacation Living", "Water Recreation Capital of Texas"
CANYON LAKE: This lake is the focus of this area as a major location for recreation, boating, water sports, water supply, flood control, and production of electricity. It is a man-made reservoir, and not at a constant level lake. 830-964-5424; www.canyongorge.org. The Power of Water! Gigantic 64 acre gorge below Canyon Dam created by the torrential rains of 2002. Dramatic views. Waterfalls, geologic formations, beautiful lagoons, numerous springs and more! Guided tours only. Dramatic views. Waterfalls, geologic formations, beautiful lagoons, numerous springs and more! Guided tours only, at $10, 3 hours, weekend and weekday tours available, ages 7 & up, must pre register on the website or by calling. 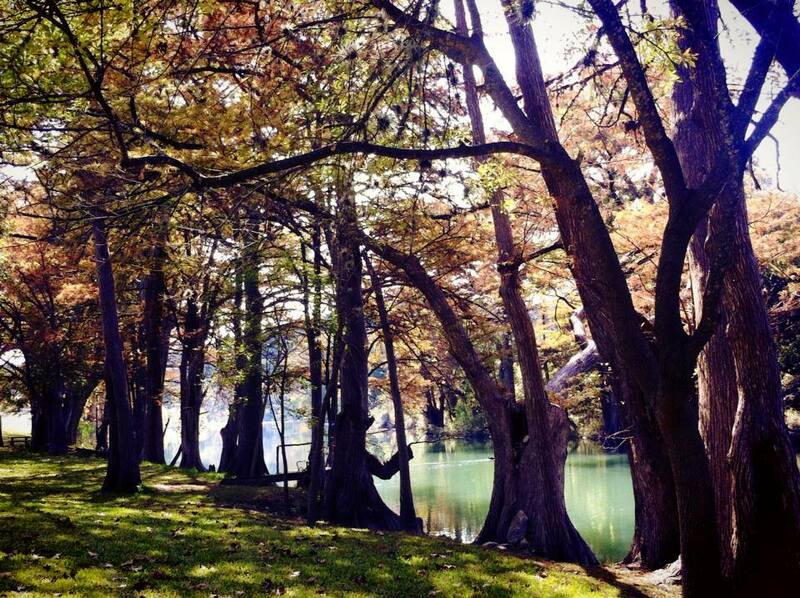 Location: In Comal County at Canyon Lake at E end of lake below the dam. See Canyon Lake Gorge Preservation Society in Directory below. Water Oriented Recreation District of Comal County: 830-907-2300; www.wordcc.com; info@wordcc.com. The District begins at the New Braunfels city limits on the east and ends at the boundary of the Guadalupe State Park on the west. Heritage Museum of the Texas Hill Country: 830-899-4542; www.theheritagemuseum.com. Displays on: Native American Artifacts, Early Pioneers including Farm Machinery, the Canyon Dam History, Fossils, Gift Shop, open air picnic area, and the Heritage Garden Trail of native Texas plants. Dinosaur tracks are at the same site. Probably the most prolific site in Texas, in terms of number. These tracks were made during the deposition of the upper part of the Glen Rose Formation roughly 100 million years ago. 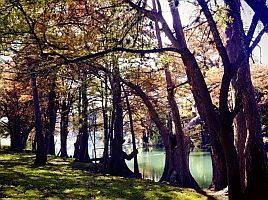 PARKS: There are many national, state, county and LCRA parks in the greater area as profiled on the Parks page. See above list of local parks. HISTORY: Handbook of Texas Online: "Canyon Lake is a dispersed unincorporated region located in the vicinity of Farm Road 2673 and along the shores of Canyon Lake in northern Comal County. Rapid residential and commercial development in this area began in the mid-1960s after the completion of Canyon Lake in 1964. In 1980 the U. S. Census Bureau recognized the area of Canyon Lake, which also encompasses the older communities of Startzville, Sattler, Hancock, and Cranes Mill, as a distinct community. That year the population was reported at 100. By the mid-1980s Canyon Lake received its own post office, and the 1990 population of 9,975 reflected the tremendous growth in the region with the construction of numerous subdivisions and opening of businesses. By 2000 the area had 16,870 residents. Canyon Lake is part of the Comal Independent School District and has numerous retail and professional businesses, churches, and the Times Guardian newspaper. Various lodges, marinas, and river outfitters cater to the major industry of tourism. Many retirees have also moved into the community." CANYON LAKE BOAT RENTALS: www.canyonlakeboatrentals.com. At Canyon Lake Marina and Cranes Mill Marina above. Lat: N 29.54.044°, Lon: W 98.14.093° at Canyon Lake Marina in Canyon Park (see separate listings). COMAL COUNTY SHERIFF'S OFFICE: 830-885-4883; 830-620-3400; www.co.comal.tx.us/so/index.html. See New Braunfels listing. CANYON LAKE GOLF CLUB: 830-899-3372; 830-899-3301; 405 Watts Ln, Canyon Lake, TX 78133. www.canyonlakegolfclub.com. Semi-Private, Open to the public, 18 holes, par 72, 6168 yds. Clubhouse facilities. 13 mi from Canyon Lake. CANYON CUSTOM GUTTERS: 830-237-5138; Canyon Lake, TX 78133. Also see listings for New Braunfels. 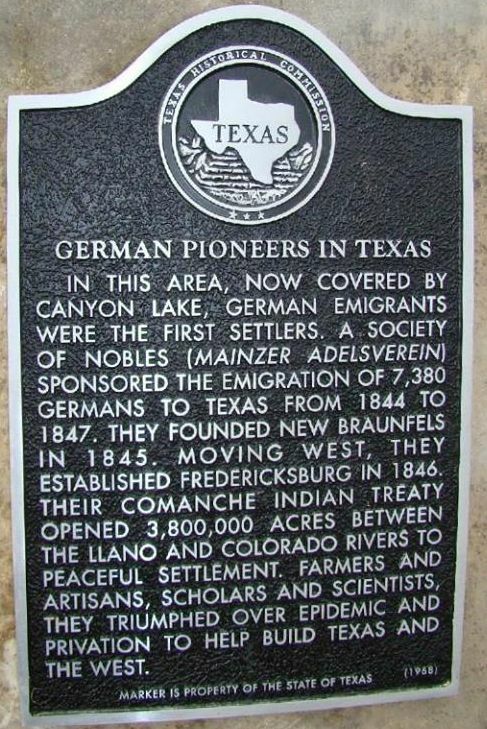 Many places along River Road are closer to Canyon Lake but have a New Braunfels address. FAMILY MEDICAL CLINIC (aka Baiamonte Healthcare): 830-428-3970, 1395 Sattler Rd, Canyon Lake, TX 78133. CANYON LAKE AIRPORT: 830-935-2556; 900 Hancock Rd, Canyon Lake, TX 78133. http://canyonlakeairport.net. Map. A non-profit private entity, not open for public use. FAA Identifier 34TS. No Control Tower. Attendance Manager on premises. No Fuel. Wind Indicator. No Segmented Circle. No Lights. No Beacon. Landing Fees. Unicom 122.9. GPS N29/55.12 W98/14.78. Elevation 940 ft. Surface: Asphalt. Obstructions: Low hill to north. Traffic Pattern Runway 1 Right/Runway 19 Left. Dimensions 2600 x 45 ft. Dip in runway 900 ft from N end. As a service to the community, Canyon Lake Airport offers the use of it's facility to Canyon Lake EMS, Fire Department for emergency air life services. Located on N shore of Canyon Lake. The airport is for owners only and is not available for public use. Helicopters prohibited. (THE) HILLTOP REPORTER: 830-935-4100; Canyon Lake, TX 78133. http://hilltopnewspaper.com. A sports-service covering the schools of Canyon Lake High School and Bracken Christian School. TUBE HAUS: 830) 964-3011; 12454 FM-306, Canyon Lake, TX 78133. www.tubehaus.com. Guadalupe River tubing. HERITAGE MUSEUM OF THE TEXAS HILL COUNTRY: 830-899-4542; 4831 FM-2673 (between Startzville and Sattler), Canyon Lake, TX 78133. www.theheritagemuseum.com. Displays on: Native American Artifacts, Early Pioneers including Farm Machinery, the Canyon Dam History, Fossils, Gift Shop, open air picnic area, and the Heritage Garden Trail of native Texas plants. Dinosaur tracks are at the same site. Probably the most prolific site in Texas, in terms of number. These tracks were made during the deposition of the upper part of the Glen Rose Formation roughly 100 million years ago. CANYON LAKE GIRLS SOFTBALL ASSOCIATION: 210-559-1564; 1045 Scenic Dr, Canyon Lake, TX 78133. www.canyonlakegirlssoftball.com. Youth ASA softball organization for girls ages 4-14. CANYON LAKE GORGE PRESERVATION SOCIETY: 830-964-5424; 2075 FM-2673, Ste D, Canyon Lake, TX 78133. www.canyongorge.org. See full description in profile above for this non-profit that manages Gorge property. CANYON LAKE YOUTH SOCCER CLUB "CLYSC": 830-964-2577; 125 Mabel Jones Dr, Canyon Lake, TX 78133. www.clysc.org. Youth Soccer Club at Hidden Valley Sports Park, below Canyon Dam. CANYON LAKE YOUTH SPORTS: www.clyouthsports.org. Bringing competitive youth sports to Canyon Lake. (THE) FRATERNAL ORDER OF CANYON MEN (FOCM): POB 1646, Canyon Lake, TX 78133. www.canyonmen.orgA non-profit organization dedicated to helping local families and individuals in need. Annual golf tournament in Sep; Chili & Bean Cook-off in Oct.
Local: Canyon Lake Noon Lions: 830-899-4406; www.clnoonlions.com. Meets 1st & 3rd Thurs at noon at Tye Preston Library, 16311 S Access Rd. Email: info@wordcc.com; www.wordcc.com See detailed description above. TEXAS PROPERTY TEAM: 830-660-3922; Rebecca Creek Rd, Canyon Lake, TX 78133. www.pollyhaberkorn.com. HIDEOUT AT CRANES MILL: Closed830-899-6130; 15794 Cranes Mill Rd, Canyon Lake, TX 78133. 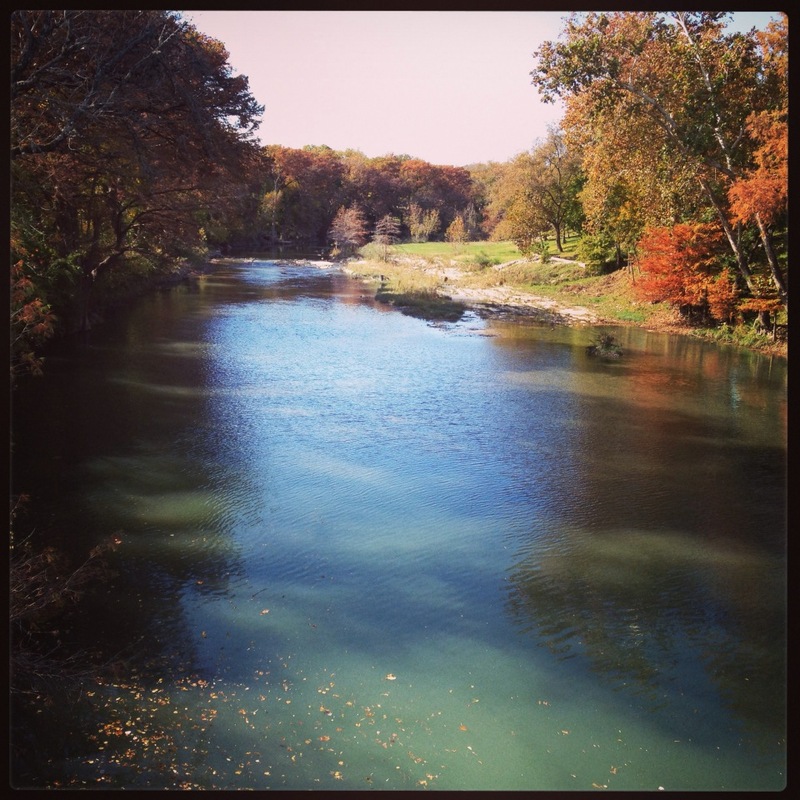 Guadalupe River Tubing & Paddling: See our focus page at Tubing & Paddling, including a listing of all outfitters, campgrounds and related services. 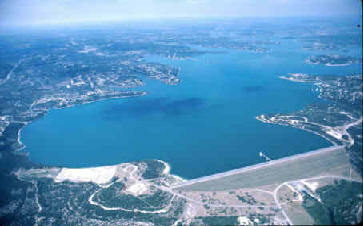 CANYON LAKE WATER SERVICE COMPANY: 830-964-3854; 1399 Sattler Rd, Canyon Lake, TX 78133. www.clwsc.com. A state-regulated, investor-owned, water utility providing service to approximately 28,190 people through more than 11,275 connections in the Canyon Lake region of Comal and southern Blanco County.